April is here, and with it spring blooms into every corner of the city. And what better way to celebrate spring than with a great book in hand? Prepare yourself, because this week we have chosen a very tiny book that packs a huge punch. We are talking of course about – Pebbles of Perception by Laurence Endersen. If you have been feeling a little lost in life, then this is the right book for you, because it touches on so many subjects and hits right to the core of each one. 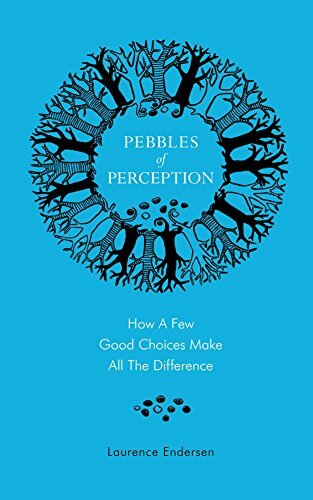 If you have ever thought about how you would like to have done more earlier in your life, or you have reached a point in life where you are unsure what to do, then Pebbles of Perception is a must-read book for you. In his book, Endersen touches upon so many subjects – love life, family life, career, personal development and so many other aspects of our lives that we struggle with every day. No matter how old we are, we always seem to think that the storm will last forever, when in fact, no storm is eternal, and no worry is worth your peace of mind. Short, simple, realistic and it covers so many subjects, that it’s hard to read this book without taking away a piece of wisdom to carry with you through your life. A book everyone should read at least once in their lives. Tune in to our blog to get weekly, free book recommendations!